Wow! 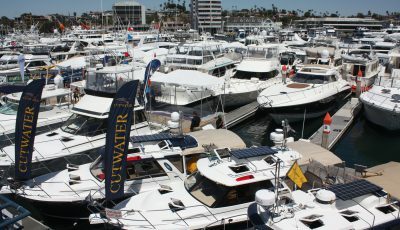 While the calendar may say spring, the warm weather and volume of boat and yacht use says summer, summer, summer. 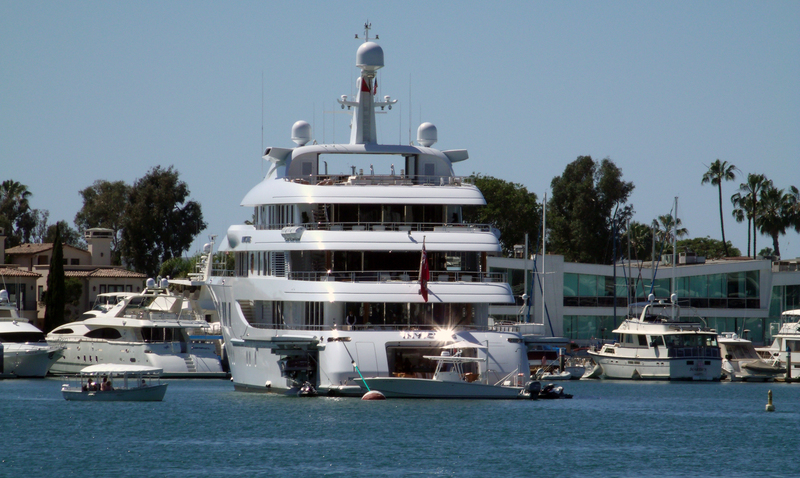 As you can see by my photo, the 200-foot-plus Invictus has visited our humble harbor once again. I had planned, upon its return, to putt over and interview the captain, crew, or guests, but time ran out. I’ll try again next visit. During the Invictus visit, I was on the 8th floor of the West Building at Hoag Hospital. The view of the yacht anchored made Lido Isle and the surrounding area as miniature as one might see on a toy railroad display. The yacht dwarfs everything in its vicinity. Not uncommon for private yachts of 150-feet (or larger) in the Caribbean or Mediterranean, this vessel can also be chartered for around $500,000, plus expenses. Another example of international activity in our precious Newport Harbor. 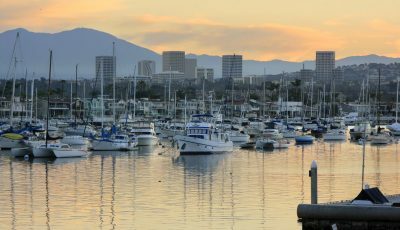 One of several renowned international mega-yacht magazines featured the former Alaska Eagle sloop, owned and sailed by students and staff throughout the Pacific at Orange Coast College. Showboats International March 31 had several pages regarding the life of the famous yacht. I designed and built a pier and dock for Neil Bergit, owner of Alaska Airlines at the time, who donated the famous yacht he purchased and changed the rig to race around the world. Following that adventure he purchased a vacation home on West Bay Avenue which he rebuilt and personalized. Prior to the purchase, the yacht was owned by a Dutch racer who was moving up in size and won the first Whitbread Round the World Race, which now is called the Volvo Ocean Race, which is a one-design sloop of 65-feet. 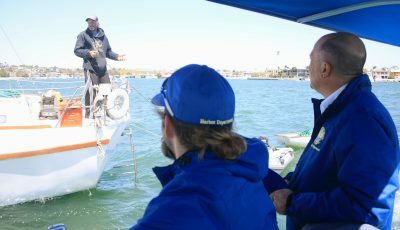 The article mentioned Newport Harbor, Orange Coast College and the more than 300,000 miles the schools adventures included while used as an international training sailboat. Coast, (as we locals refer to the college) has also used larger and smaller power boats and sailboats for the same purpose. By observation I would venture to guess their donation program has raised more than $50 million for the school. They also have classes (for students that qualify) to learn and pass the U.S. Coast Guard Captains License exam. Some of Coast’s graduates and their instructors have become captains of large yachts and commercial vessels locally, and around the world, who obtained their “ticket” at the O.C.C. bay front compound.